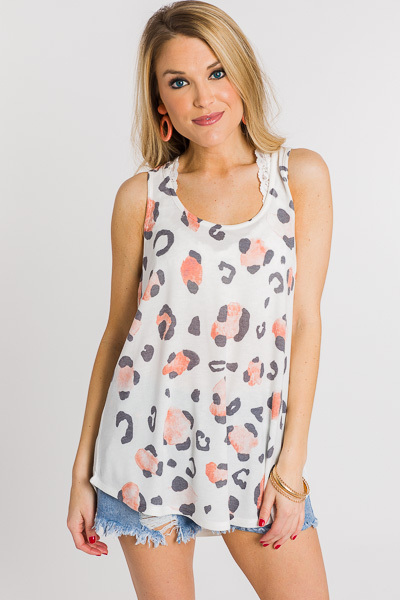 This lightweight little tank features a fun spin on your classic leopard print! 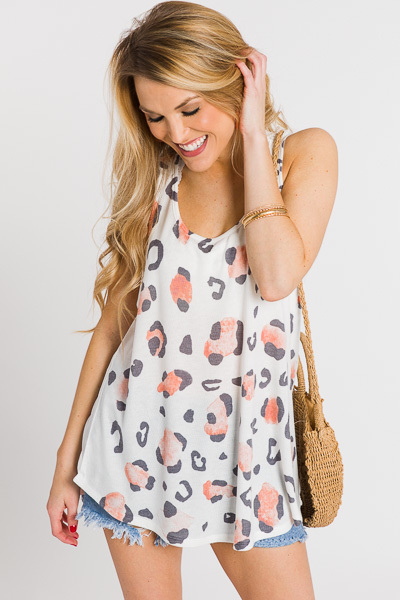 Pair it with denim for an easy, warm weather outfit. Poly blend.